Hi Guys! 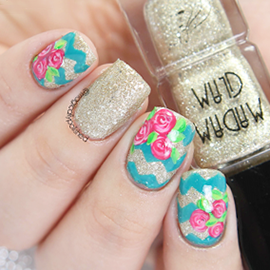 Guess what I have for you today, my continuation of the Alphabet Nail Art Challenge. I can't believe I've forgotten it. With all the holiday nail art ideas, I'm back again in a rot an remembered my unfinished challenge. 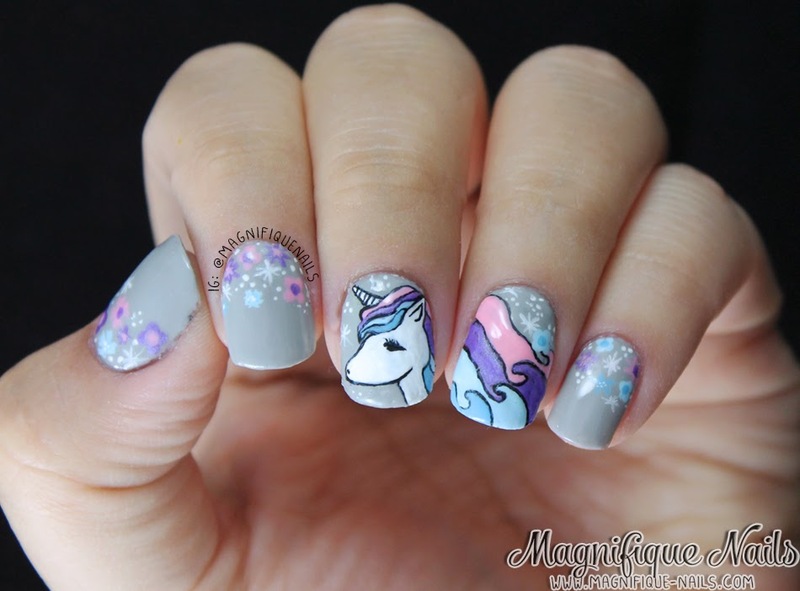 So for todays Alphabet Nail art Challenge is U for Unicorn. For the base, I applied two coats of Revlon Pastel Punk Expressionist Grey. 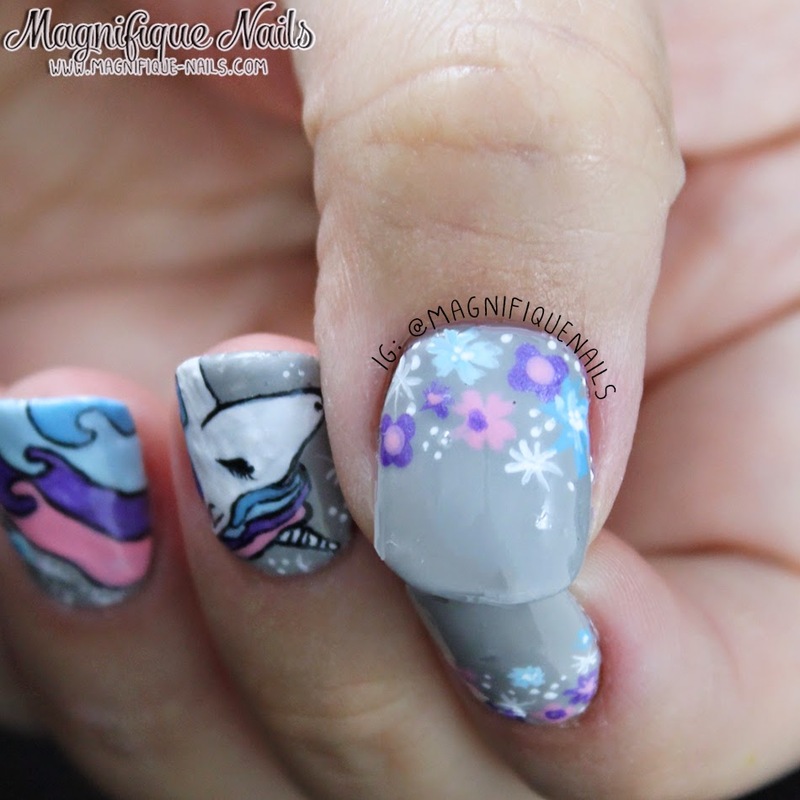 Once the polish dried, I first added several florals, leaving the middle and finger for the unicorn. I used Art Club's pastel colors Lavender, Pink Pastel, Sky Blue and Pastel Blue. I also used acrylic white paint for some of the dots and sparkly stars. Now for the unicorn, I have to admitted I felt like I was cheating on my poor ol' white polishes. But in all honestly, acrylic paint are soo much easier to use. 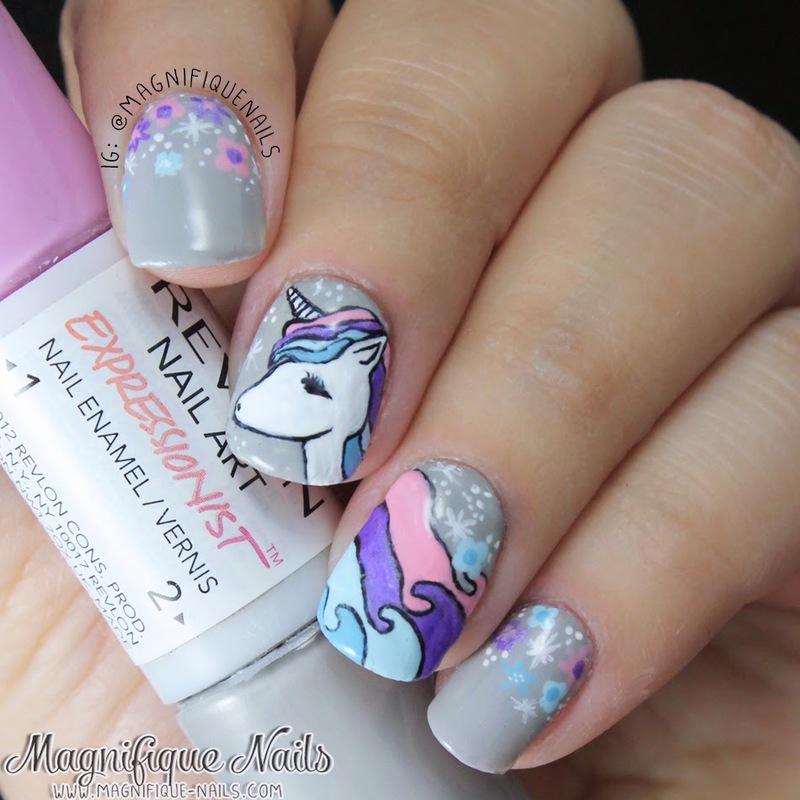 I drew the unicorn by using Reeves acrylic paint Titanium White, with a nail art brush. Which is the only brand I've ever purchased since I was in college and very loyal to it. Then I colored in the flowing hair with Art Club Pastel colors. Lastly, I then sealed the designs with Duri- Super Fast Dry Through Top Coat, that's it! Overall I really loved how they came out. Most of all the color combinations were my favorite. Getting ready for spring!